From A to Zoë: Happy Three Years, Boise! On July 8, three years ago, I moved to Boise - wide eyed, bushy tailed, and literally following my heart. So much has happened in these three years – from moving in with Jeff and experiencing all of the discomfort and joy of first time cohabitation, to getting engaged and planning a wedding and getting married, to starting my own life here, making friends and building my career, to buying our house and settling down. I’ve always thought that the first few years out of college were the biggest catalysts for change. You’re out there in the world, umbilical cord cut, trying to make it. Those years were incredible for me, but there was always a little something missing, a weight that comes with being a sensitive and emotional young person in a life that’s moving a mile a minute and in a city that’s filled with pressure and opportunity and noise. Those were the years that shaped my path and gave me all the tools to be successful and driven, but these past three years have helped to identify who I am, what I want, and how to be happy, by no one’s standards but my own. Lately, I’ve been startled multiple times by the fact that I am watching myself grow up. I feel older, more mature and less worried, more confident about the choices I’ve made and less concerned with what I haven’t done. In the age of Instagram and Facebook, where you can compare your life, your travels, your beauty, your happiness, to someone else’s by the refreshing of the feed, it’s easy to be preoccupied with what could be instead of focusing on what is. I still get caught up and I don't always choose to listen, but I feel like I'm moving more comfortably in my late 20's and I have a growing self awareness of what really matters. This anniversary also means more than the two that came before it because I lived in New York City for three years. To have now been here for the same amount of time is bittersweet - I love being the girl from the big city, having those life experiences that you can only get from a few special and scary places in the world. My New York years had a profound impact on me and part of me misses the intensity and passion of the city, being surrounded by people with so much motivation and enthusiasm. However, the world is so full and I know that there's plenty more to see and learn. The transition to small city girl has been tumultuous at times, but ultimately a very positive one. I'm proud to have made that crazy leap, landed on my feet, and taken off running. 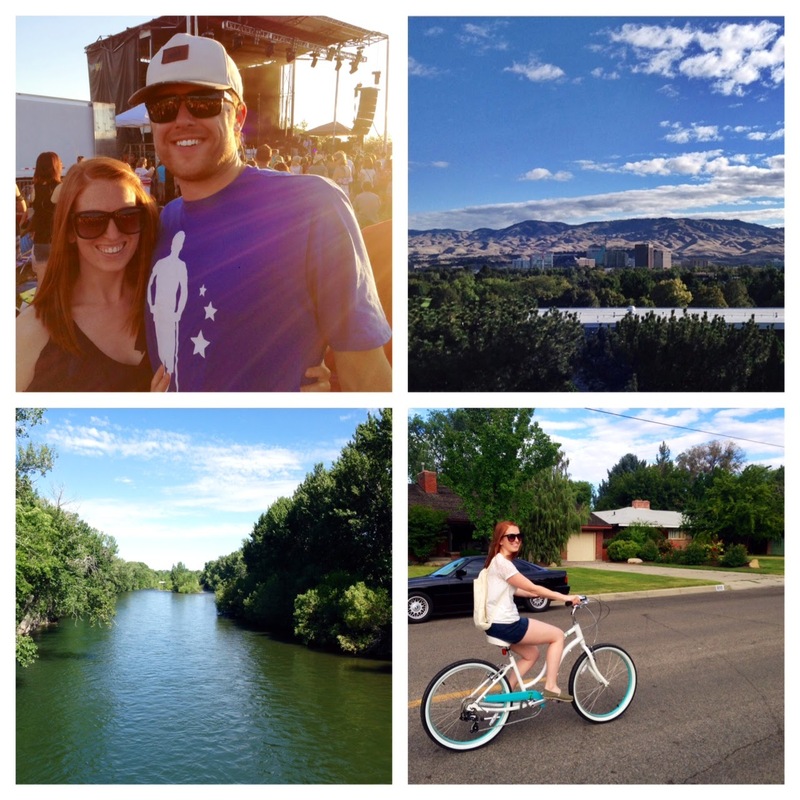 I love my life and that makes me love Boise just a little more ;) Happy July 8th!